Traditionally, the methods by which librarians taught research skills were focused on conventional lectures and demonstrations, some of which took place in the classroom, but many of which took place at the reference desk and in the stacks. As databases began to overtake print materials as the primary medium for legal materials, librarians quickly recognized that teaching legal research solely through lecture and demonstration was inadequate for optimum student learning. With the heightened interest in Haiti following the earthquake of 2010, and the troubled state of its institutions in the decades before that, the goal of The Legal Patrimony of Haiti: An Annotated Bibliography by the LLMC Staff is to provide a comprehensive and bilingual bibliographic foundation upon which Haitians and others of goodwill can re-start the process of building Haitian legal and governmental institutions. It incorporates a broader range of titles than has been traditional to reflect contemporary social science insight that the development of law in a country cannot be understood without some knowledge of the wider society and its historical legacies. All of the annotations included are published in a bilingual format to facilitate use by both French and English language readers. The past three decades have witnessed a revolution in legal research methodology. Legal databases have transformed research from an entirely print-based process to one dominated by online methods. This online revolution is not unprecedented, however, and it is not a stretch to think that law practice was transformed during the period from 1870 to 1890 as much as it has been the past thirty years. The Invention of Legal Research by Joseph L. Gerken is the story of those “golden decades”. Save 40% on these titles while supplies last. Save 40% when you choose from over 75 titles during our warehouse clearance sale. These books are in a limited supply, so they are on a first-come first-serve basis. Order now while supplies last! Hein Cites Issue #16: Back to School with Hein! Stressed about the books you need for back to school? Hein has you covered. Take a look at some of the books we have to help prepare you for this upcoming school year! The Boulder Statements on Legal Research Education – Now Available! 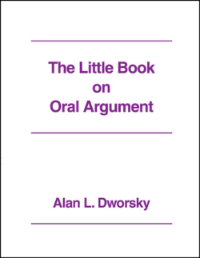 Created by a Leading Group of Legal Scholars! The Boulder Statements on Legal Research Education envision legal research education as an intellectual, analytical, and iterative process. The statements’ goal is to teach students to think strategically about their research processes, understand the sources they are using and why they are useful, analyze their results, and engage in continual adjustment of their strategy and evaluation of their results until reaching a resolution to the research problem. Are you a law student preparing for the bar exam? Tags: 1000 Days to the Bar, Bar Exam, Dennis Tonsing, Inc., Pass the bar exam, William S. Hein & Co. If you are a law student and looking forward (dreading) to the bar exam and a little short on cash? How about checking out our newest eBook, 1000 Days to the Bar But the Practice of Law Begins Now, 2nd Edition, now available from Amazon and Google Books! Volume 60 in the Legal Research Guide Series is now available from Hein. Consumer Law: A Legal Research Guide by Lee F. Peoples aims to provide the researcher a path through the morass of consumer law. BUFFALO, NY, August 18, 2011–Legalese to ENGLISH: Civil Procedure (William S. Hein & Co, August, 2011) is the first volume in a groundbreaking series of law-school study guides. The step-by-step approach set forth in Legalese to English is one that has already propelled thousands of students to the top of their law-school classes. The authors use their signature straight-talking style to break down tough cases and concepts into simple, manageable components. If you would like to read the rest of the press release please click the link below or if you would like to purchase the study guide follow the “Order Now” link. Now in its sixth edition, Howard Foss’s Introduction to Commercial Law: Cases, Problems and Materials is an excellent introductory tool for the commercial law novice. Part I of this work covers the Sale of Goods, Part II covers Commercial Paper, and Part III covers Secured Transactions. This work also covers Articles 1, 2, 3, 5, 6, and 9 of the Uniform Commercial Code. The goal is for readers to become acquainted with issue-generating phrases within the statutory language of the Code. 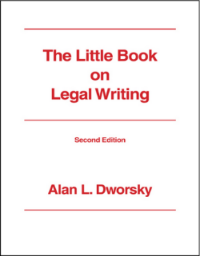 This guide on commercial law is ideal for students, researchers, professors, and librarians.